Atlas Obscura’s first book has finally hit shelves. 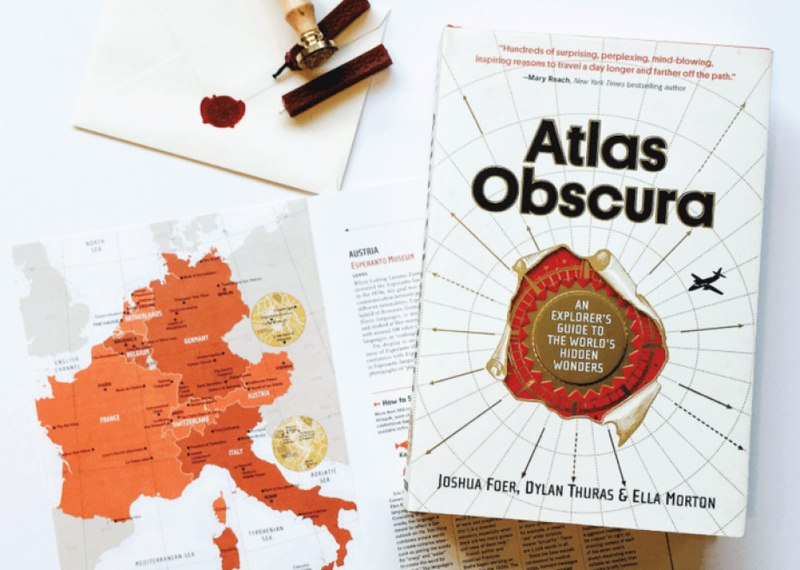 You can now hold Atlas Obscura in your hand! Today, our first book, Atlas Obscura: An Explorer’s Guide to the World’s Hidden Wonders, is released into the world. Inside this 480-page tome you’ll find 700 strange, wondrous, and awe-inspiring places to inspire your travels and imagination. We spent five years planning, researching, and writing this book, and we can’t wait for you to read it. It contains our most treasured wonders, from Galileo’s middle finger to everyone’s favorite giant flaming hole in the Turkmenistan desert. There are new maps and illustrations, gorgeous photos, and useful information on everything from preventing premature burial to not getting killed by one of Australia’s many deadly animals. We hope you’ll pick up a copy at your local bookstore or online. We’d adore it if you came to party with us on our 12-city book tour. And most of all, we love that you’re a part of Atlas Obscura. Thank you for coming on this adventure with us. Let’s keep exploring.